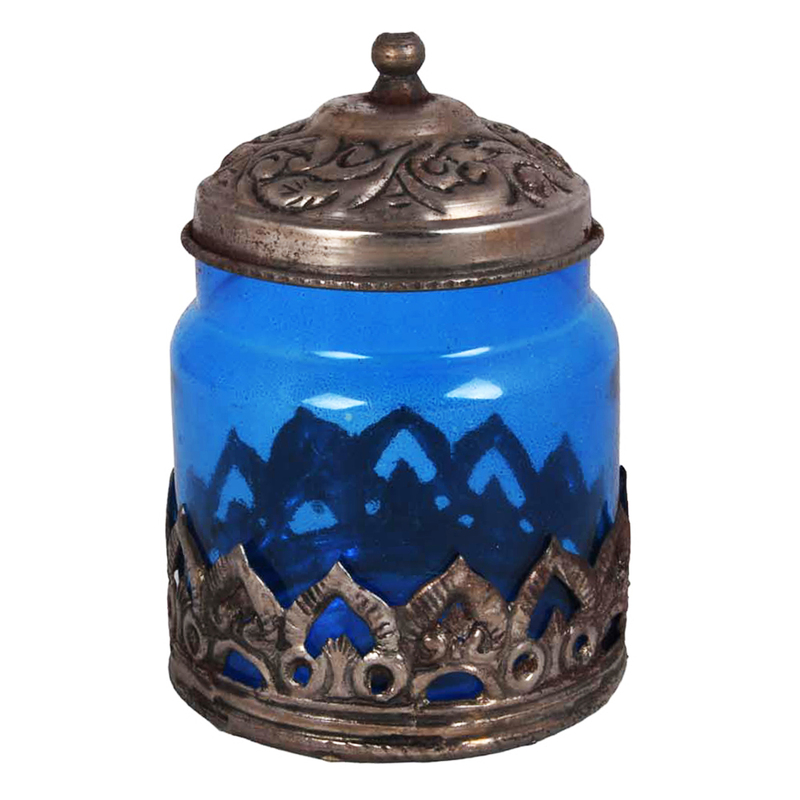 Avail the blue coloured oxidized glass barni for your dream kitchen only from boontoon. The exquisite Meenakari design on the cap of the Barni makes it astonishingly attractive & must to have item. Boontoon is now introducing home appliances like oxidized glass barni to keep your kitchen cean, cozy & organized. 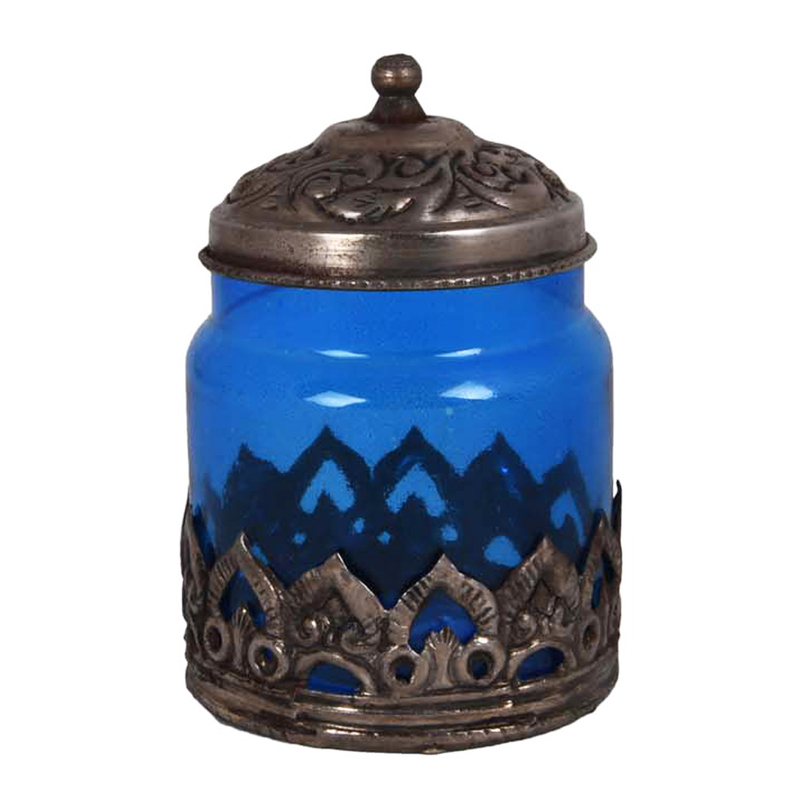 This blue coloured Barni with metallic ornament Read More..on top & bottom designed in a Rajasthani Meenakari work is truly amazing to look at. The robust glass material makes the jar seamless & single piece. It does not create any sort of contamination with food that you keep in it. You can easily put it in a refrigerator or microwave. The drastic temperature difference never harms the jar because of its thick wall. 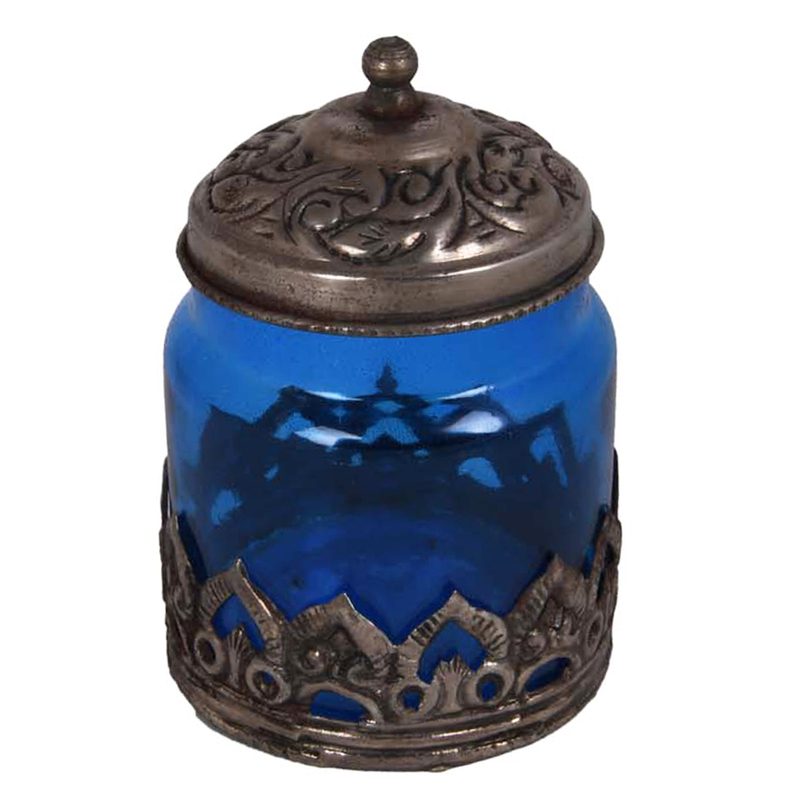 Though the colour of the jar is blue, but still due to its transparency you can see through inside without opening the lid. Show Less..